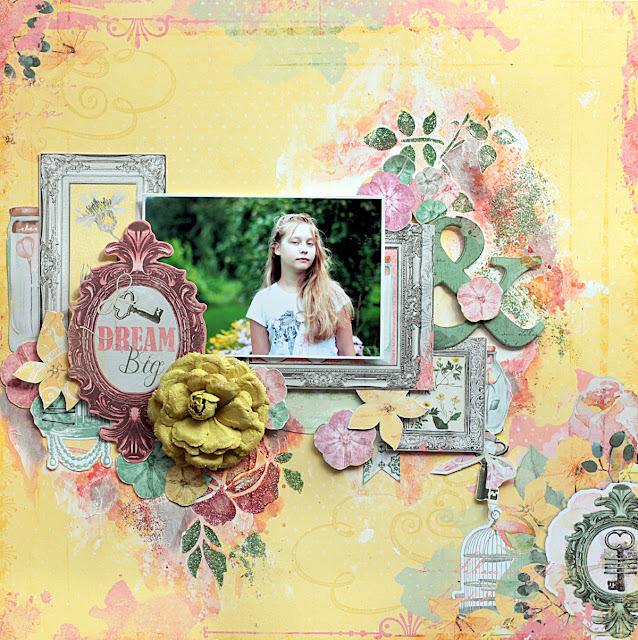 It's my turn to share with some fussy cutting ideas for your layouts. Well I do love using fussy cutting for my projects and normally it's a good way to start fussy cutting if you don't have any ideas or not sure what to start with. 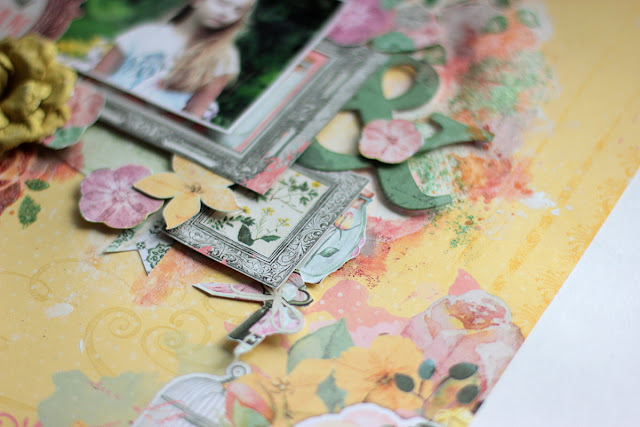 So actually it's quite a simple way to create embellishments for your your projects in advance. Mostly I am busy with fussy cutting the flowers, they are always good for adding the depth too. 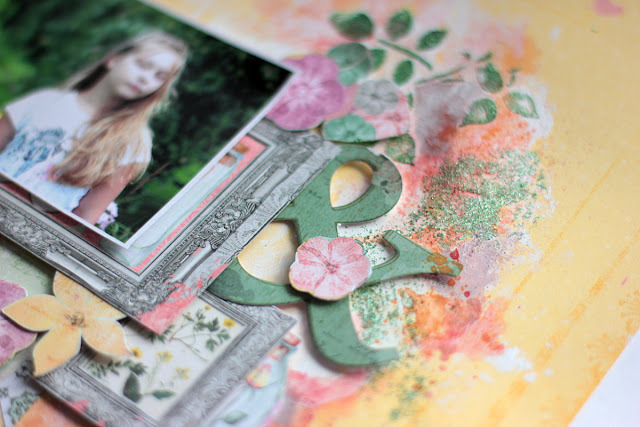 The fussy cut elements look great on mixed media background. For my layout I used gesso, then applied the glitter paste using the stencil and used the spray mist for some color too. 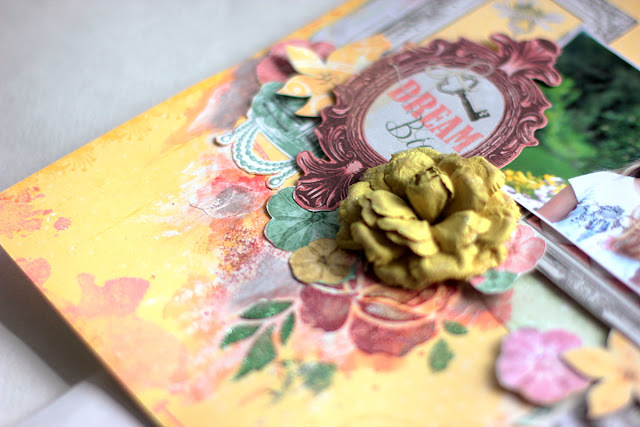 Mixing the fussy cut flowers and the colors made with the paste and stencil work great together, but you can easily add the dimensional flowers - it's a focal flower cluster - to make the accent on different embellishments.